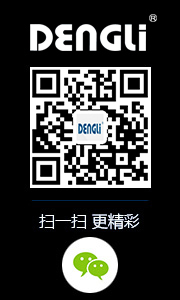 Founded in 1990, Zhejiang Dengli Electric Meter Instrument Co., Ltd. is located in Xirenyi Industrial Zone, Liu Town, Yueqing City, Zhejiang Province, China. It is a specialized manufacturing company for electric energy meters, color TV tube sockets and analog working status indicators. After years of hard work by all employees, we have successfully developed various energy meters, color TV tube sockets and analog work status indicators. The total number of employees is 208; among them, there are 1 senior engineer, 5 engineers, 10 technicians and 22 production management personnel. 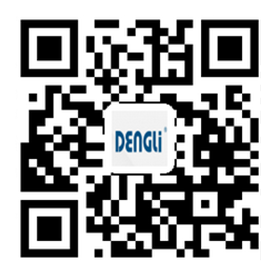 It has fixed assets of 33.48 million yuan and a plant area of 7,980 square meters. It has an annual production capacity of 1 million single-phase and three-phase electric energy meters, 3 million CRT sockets and 200,000 simulated working status indicators. The company currently produces electric energy meter as the leading product, including D86 series electric energy meter, DS223 series electronic electric energy meter, DDSY22 and DTSY223 series IC card prepaid electric energy meter, DSD223 multi-function electric energy meter; D86F anti-stealing electric energy meter, etc. The electric energy meter has passed the type test of the National Electrotechnical Instrument Quality Supervision and Inspection Center and passed the provincial product appraisal to obtain the national industrial product production license, the export product quality license and the manufacturing measurement instrument license. All products have been listed in the National Economic and Trade Commission's national urban and rural power grid transformation recommendation list and have passed the sampling inspection by the State Bureau of Quality and Technical Supervision. The company has domestic first-class measurement and testing equipment, advanced production equipment, strong technical force, integration of research and development, production, sales and service. In recent years, various series of electric energy meter products are mainly sold to Inner Mongolia, Xinjiang, Shaanxi, In Guangxi, Hubei, Liaoning and other provinces, the products have been exported to Europe, America, Southeast Asia and other countries for a long time. The product quality and performance are stable, and they are highly praised by domestic and foreign customers. The company has obtained UL certification, ISO9001 quality system certification, KEMA certification, and China CCC certification. The company is committed to creating first-class quality, first-class service, and building a brand. We sincerely welcome domestic and foreign merchants to visit, negotiate business and cooperation.